The Magicians on Showcase & a Contest! The Magicians stars Jason Ralph as Quentin Coldwater, a gifted grad student chosen to attend Brakebills University in upstate New York. He and his friends soon discover that the magical fantasy world they read about as children is all too real – and poses grave danger to humanity. Haven’t read the book yet? I’m giving away a prize pack to a lucky winner. The prize will include copy of Lev Grossman’s The Magicians, a branded bookmark and a deck of cards. Enter below! When I was in elementary school, I was a nerdy kid. I would get in trouble the most for – get this – reading under my desk during school, or reading under the covers at night. Many years later, I still love books. I love books so much. I often have one stashed in my purse, some on my Kobo, and a bunch on my cell phone just in case. Although I’m a huge book lover, I’ve found out that I’m actually reading less as I get sucked into the void of Instagram, Facebook and Twitter. I want to keep up my reading, don’t you? 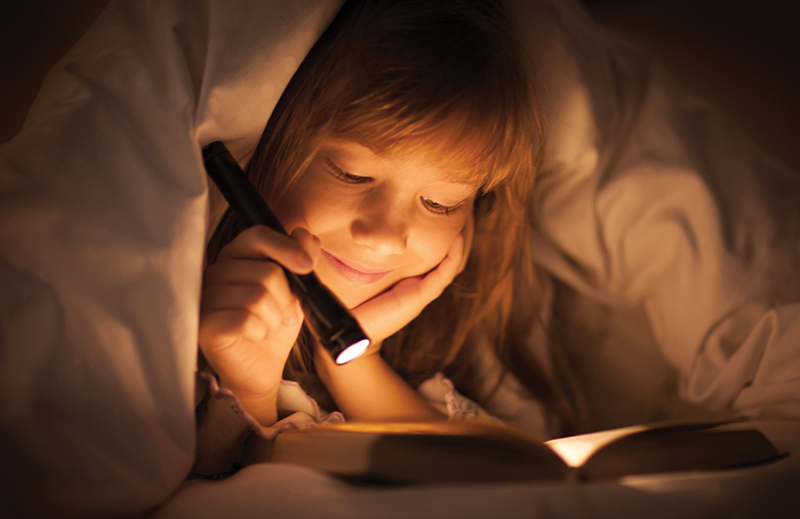 As the weather gets colder, it’s the perfect time to curl up with a book. 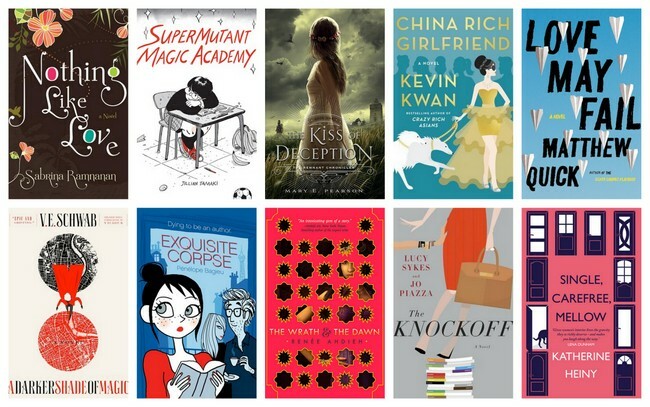 Here are some books I can’t wait to read this month! 1. Carry On by Rainbow Rowell: Simon Snow just wants to relax and savor his last year at the Watford School of Magicks, but no one will let him. His girlfriend broke up with him, his best friend is a pest, and his mentor keeps trying to hide him away in the mountains where maybe he’ll be safe. Simon can’t even enjoy the fact that his roommate and longtime nemesis is missing, because he can’t stop worrying about the evil git. Plus there are ghosts. And vampires. And actual evil things trying to shut Simon down. When you’re the most powerful magician the world has ever known, you never get to relax and savor anything. 2. The Masked Truth Riley Vasquez by Kelley Armstrong is haunted by the brutal murder of the couple she was babysitting for. Max Cross is suffering under the shadow of a life-altering diagnosis he doesn’t dare reveal. The last thing either of them wants is to spend a weekend away at a therapy camp alongside five other teens with “issues.” But that’s exactly where they are when three masked men burst in to take the group hostage. The building has no windows. The exits are sealed shut. Their phones are gone. And their captors are on a killing spree. Riley and Max know that if they can’t get out, they’ll be next–but they’re about to discover that even escape doesn’t equal freedom. 3. 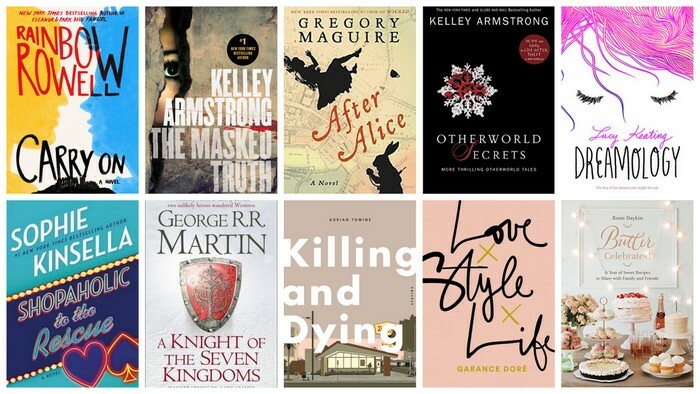 After Alice by Gregory Maguire Ada, a friend of Alice’s mentioned briefly in Alice’s Adventures in Wonderland, is off to visit her friend, but arrives a moment too late — and tumbles down the rabbit hole herself. Ada brings to Wonderland her own imperfect apprehension of cause and effect as she embarks on an odyssey to find Alice and see her safely home from this surreal world below the world. If Euridyce can ever be returned to the arms of Orpheus, or Lazarus can be raised from the tomb, perhaps Alice can be returned to life. Either way, everything that happens next is After Alice. 4. Otherworld Secrets: More Thrilling Otherworld Tales by Kelley Armstrong In this new collection of deeply enjoyable, compulsively readable novellas and short stories, she throws her wonderful characters deep into tricky situations that test not only their ability to safely navigate danger but also their relationships with each other. 5. Dreamology by Lucy Keating For as long as Alice can remember, she has dreamed of Max. Together they have traveled the world and fallen deliriously, hopelessly in love. Max is the boy of her dreams—and only her dreams. Because he doesn’t exist. But when Alice walks into class on her first day at a new school, there he is. It turns out, though, that Real Max is nothing like Dream Max, and getting to know each other in reality isn’t as perfect as Alice always hoped. When their dreams start to bleed dangerously into their waking hours, the pair realize that they might have to put an end to a lifetime of dreaming about each other. But when you fall in love in your dreams, can reality ever be enough? 6. Shopaholic To The Rescue by Sophie Kinsella: Becky is on a major rescue mission! Her father has vanished from Los Angeles on a mysterious quest with her best friend’s husband. Becky’s mum is hysterical; her best friend, Suze, is desperate. Worse, Becky must tolerate an enemy along for the ride, who she’s convinced is up to no good. 7.A Knight Of The Seven Kingdoms: Being The Adventures Of Ser Duncan The Tall, And His Squire, Egg by George R. R. Martin Before Tyrion Lannister and Podrick Payne, there was Dunk and Egg. A young, naïve but ultimately courageous hedge knight, Ser Duncan the Tall towers above his rivals—in stature if not experience. Tagging along is his diminutive squire, a boy called Egg—whose true name (hidden from all he and Dunk encounter) is Aegon Targaryen. Though more improbable heroes may not be found in all of Westeros, great destinies lay ahead for these two . . . as do powerful foes, royal intrigue, and outrageous exploits. 8. Killing & Dying Stories by Adrian Tomine “Amber Sweet” shows the disastrous impact of mistaken identity in a hyper-connected world; “A Brief History of the Art Form Known as Hortisculpture” details the invention and destruction of a vital new art form in short comic strips; “Translated, from the Japanese” is a lush, full-color display of storytelling through still images; the title story, “Killing and Dying”, centers on parenthood, mortality, and stand-up comedy. In six interconnected, darkly funny stories, Tomine forms a quietly moving portrait of contemporary life. 9. Love, Style, Life by Garance Doré This gorgeously illustrated book takes readers on a unique narrative journey that blends Garance’s inimitable photography and illustrations with the candid, hard-won wisdom drawn from her life and her travels. Infused with her Left Bank sensibility, the eclecticism of her adopted city of New York, and the wild, passionate spirit of her native Corsica, Love Style Life is a backstage pass behind fashion’s frontlines, peppered with French-girl-next-door wit and advice on everything from mixing J.Crew with Chanel, to falling in love, to pursuing a life and career that is the perfect reflection of you. 10. Butter Celebrates! : A Year of Sweet Recipes to Share with Family and Friends by Rosie Daykin What’s a celebration without baked goods? Rosie Daykin provides over 100 recipes for sweets that home bakers will return to year after year until they become family traditions. Whether you’re welcoming a new baby, a new neighbor, or the New Year; sharing Thanksgiving, Hannukah, or Christmas with friends and family; or simply enjoying summer, Rosie has the perfect recipe for every occasion. Somewhere along the way, I’ve totally developed a crush on Mindy Kaling. I wasn’t into the Office at all, and actually began watching The Mindy Project rather reluctantly. But once I started watching it, I couldn’t stop. I’ve never identified with a character on a TV show so much! It was amazing and a little terrifying. I find Mindy really refreshing and hilarious. I feel like we could be friends! (Mindy, if you’re reading this, we could totally be friends. Email me.) I couldn’t wait to get my hands on her new book! 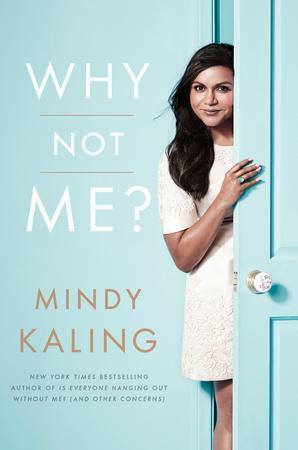 Why Not Me discusses boys, airplanes, friends, blonde men, meeting the Obamas, her competitive spirit, and how she got her start in her career. She also includes a quote from one of my favouite book character, Holden Caulfield, and has adorable illustrations for each chapter. 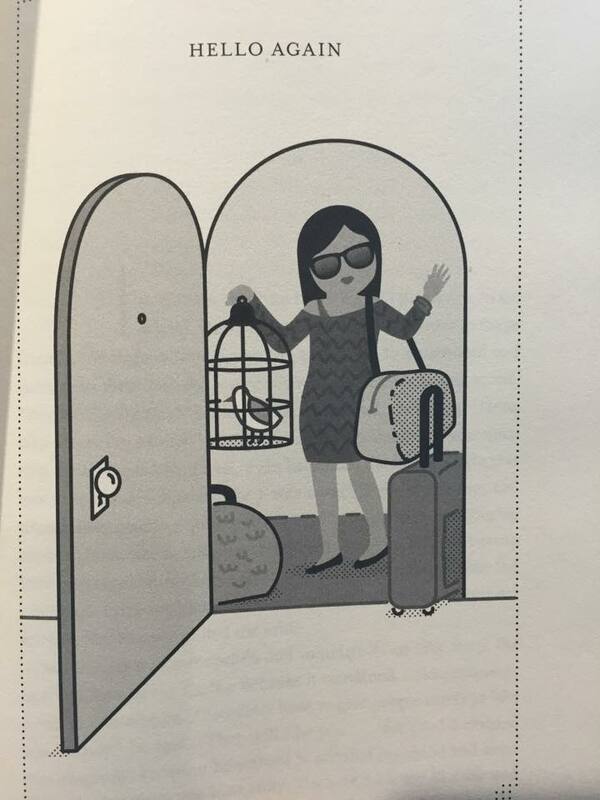 Here is an excerpt from the book when she is describing a plane flight she took with her “soup snake,” BJ Novak. Very weird? You don’t get to confide in us about what you think is weird, guy! [..] I turned back to see the flight attendant seated with her arms folded tightly across her chest. Her eyes were squeezed shut and she was mouthing something. It became clear to me that she was praying. If you have never seen a flight attendance praying, I hope you never do, because it is one of the scariest things in the world. This would be my very accurate reaction if this were to happen to me. I also loved that she included her short story, “Mindy in New York.” I’m not a fan of books that take place in emails and texts, but she made it work! If you are looking for a fun read, filled with coming of age stories, laughs and Hollywood truths, then you need to pick up this book. I love when books are unexpectedly amazing, and then you get to fall in love with a brand new author! 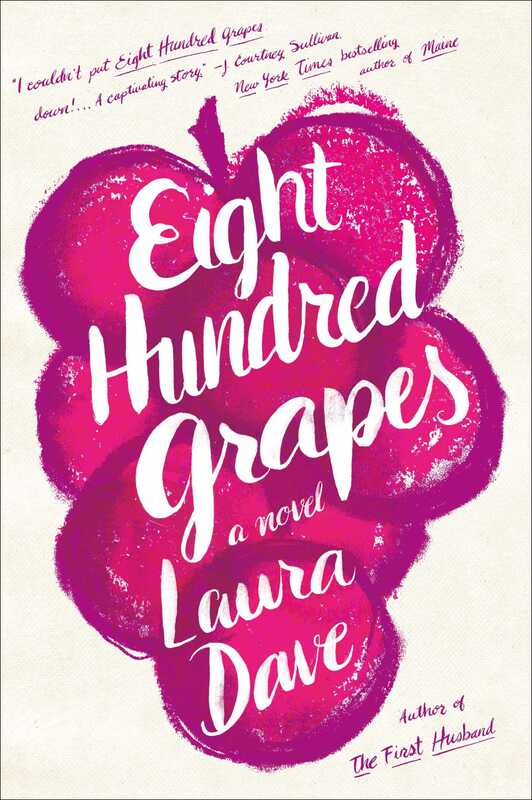 Laura Dave has written a book that’s perfect for summer. It has food, love, heartbreak and wine. And of course, humour. What more could you want? Eight Hundred Grapes captivated me. I devoured it and couldn’t put it down. Dave has a beautiful, descriptive writing style that really makes the main character, Georgia, come to life in many unexpected twists and turns. I found something endearing about each character, from her brothers right down to the new lawyer in town. Eight Hundred Grapes is laugh out loud funny in some parts and heartbreaking in others. It has a really satisfying ending that makes me want to read more of her books! You need to read it and I’m sure you’ll love it just as much as I do. 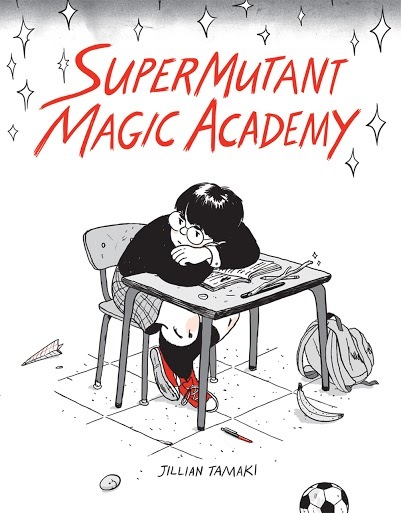 Another summer, another amazing graphic novel from Jillian Tamaki. Jillian is a truly talented illustrator, from embroideries to her previous works, she tackles a new angle each time and emerges victorious.